Tonight marks the launch of the 2013 South Asian Literature Festival. It’s touted as ‘a platform generating interest and discussion about the themes and literary heritage of the subcontinent, reaching out to new audiences across the UK with established and emerging talent’ and the opening event was ‘Asian Britain: A Photographic History’, a look at a collection of images worked together by Susheila Nasta with Florian Stadtler. The book is prefaced by Razia Iqbal and today’s event brought all three in one room hosted by Bidisha. 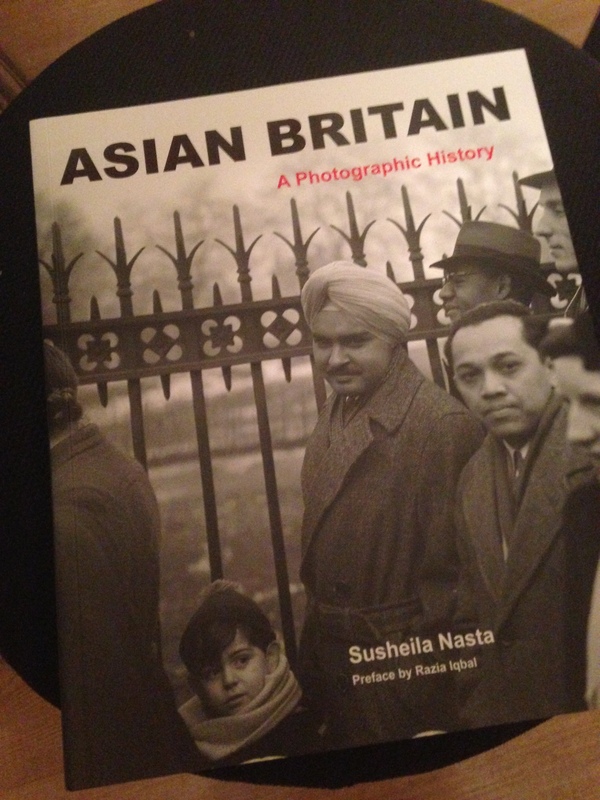 To provide some background, Asian Britain: A Photographic History ‘vividly charts Britain’s process of coming to terms with the historic realities of its culturally diverse past and present’. It was a delight to hear the panel talk about Asian life before the World Wars; a time when there were brown people in England, but perhaps we just haven’t seen them. Indeed, I had not seen any photographic evidence that Asians existed on these shores before 1960. It would be foolhardy to talk about the book in any detail as I have only today bought it, I wanted to write about some of the themes from today’s discussion that really stood out. Granted all of these stories occurred in India, but I would wager money that the following sentence has been uttered as a result “Oh my…I wonder if that happens here…”. The panel did mention a Daily Mail article about how Indian men are ideal as they can be tall, dark and handsome…but I can’t seem to find that one (shame, because I would be sending it to all my friends). Now I’m not using this post to cast blame. I’m saying that the lens through which we look at others is heavily shaped by media outlets and it’s up to well rounded individuals to carefully consider the motives of any writer or establishment before forming an opinion. Any Indian will know Sunrise radio and often I’ve heard in brainstorms ‘let’s get it on Sunrise radio, that ticks the ethnic box’. To some degree it is, but the media environment is much more complex than that, and warrants a whole blog post in itself. Another theme that came up at the beginning of the discussion was that there were Indians in Britain well before the 1960s. This was a revelation to me. Namely because in the Internet era it’s hard to imagine last week, let alone 1920, but Razia Iqbal summarised it perfectly, stating that Asian Britain: A Photographic History provides a sense of pride in being Indian that helps to remove the isolating experience that so many modern day ‘British Indians’ will admit to. Indeed I’m currently reading Sathnam Sanghera‘s The Boy with the Top Knot (a book which makes me feel like he’s a 1980s Sikh version of me) and the sense of isolation rings true from chapter to chapter. What I took from this was to take a much, much longer term view about the pattern of Indian migration to Britain to fully understand how and why we are where we are today. The final theme that really got me thinking (not surprisingly) was the digital question towards the end. 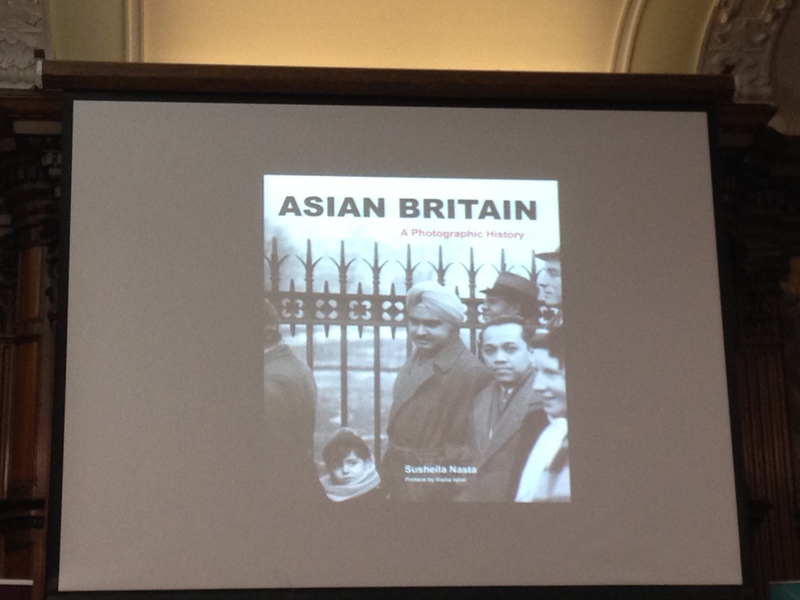 Asian Britain: A Photographic History brings together photos from The British Library, but in an age of 55 million Instagram photos a day, what would the same book (in fact, would it be a book?) in 50 years look like? Might it change the face of how we see Asians in Britain? Looking back to my point about the Daily Mail, perhaps yes, because the funnel through which we’re seeing Asians has changed (I believe the PR Wankery term of this is ‘crowdsourced content creation’). Whilst I would like to agree with Razia Iqbal, who argued that digital photography is a throwaway item and that the digital image deteriorates at a very fast rate, I really liked the point made that in order to understand photos you have to look beyond the frame and understand the context. And in that respect digital photos allow you to see the photographer, their work, their interests, in a way that brings a much richer (and yet all the more confusing and complicated story). It was a fascinating talk and I would highly recommend you to check out the South Asian Literature Festival over the coming fortnight. It will get you thinking, even if you’re not of an Indian persuasion (despite the best attempts of the aforementioned elusive Daily Mail article to get you to love the tall, dark and handsome ones) it will provide a worthwhile insight into another world. Click here for the website and follow it all on #SALF2013. Thanks to all the speakers mentioned above for a fantastic talk and I can’t wait to get stuck in. Previous Are you the same same, but different?